Encore Protection’s unbeatable commercial emergency roadside assistance coverage is available for government fleets at the federal, state, and local levels. We offer the customizable coverage, claim availability, towing miles, and other benefits that we offer to large commercial fleets and small business fleets, but we specially tailor our services to accommodate government fleet vehicles. Utility trucks, public school buses, law enforcement vehicles, and so many other government-owned vehicles and their drivers can be quickly and efficiently helped during a breakdown with our government roadside assistance plans. You’re interested in getting a commercial driver’s license (CDL). Whether it’s a career change, your first job or another reason, the pull of the open road is too much to ignore. Getting your CDL is not difficult if you follow these four steps. The requirements for a CDL license vary from state to state. Research those requirements unique to your state and take the appropriate steps once you’ve determined that you qualify to pursue your license. Before you received your driver’s license, you needed a permit. The same is true when you want a CDL. You must first take a written exam, or several exams, and obtain your Class A CDL permit. The test you need to take will depend on the endorsement you wish to earn. You may need to pass a background check as well. The CDL manual has an endorsements section that will help you. The last step in obtaining your CDL is to pass a skills test. Your test will include a pre-trip inspection test, a driving test and a basic controls skills test. Once these tests have been passed, you can be issued your license. The Motor Carrier Safety Assistance Program is a grant from the Federal Motor Carrier Safety Administration designed to provide funds to states for programs that reduce accidents involving commercial vehicles. These programs can include the funds needed to collect and analysis data to make decisions, or other programs that more directly influence safety such as linking drivers safety to vehicle registration. The MCSAP grant also helps state enforce policies by helping to fund enforcement agencies. This grant was authorized in 2015. In order to qualify for the grant, the state’s agency must match part of the grant. The goal of the program is to give states the tools they need to enforce and implement programs that make the risks of a commercial vehicle accident smaller and makes driving safer for all types of vehicles. Can I get my CDL with DUI? In many states,’ drivers can be charged with DUI as long as their blood-alcohol concentration (BAC) is over the legal limit, usually 0.08 percent. However, states typically have lower BAC requirements that apply to commercial drivers, usually about 0.04 percent. Even though you might have a DUI on your record, there is still a chance that you can get your Commercial Drivers License (CDL) in the first place. However, getting a job with a company that requires that CDL might be a little more challenging. If there is a DUI on your record during the past 3 years, then there is a good chance the company you are applying to work for won’t hire you. On the opposing end, some companies may hire you after a year or more of having charges on your record. Check with the company and find out their regulations. The Federal Motor Carrier Safety Administration (FMCSA) mandates the licensing requirements for professional truck drivers and once you get your CDL, getting a job that requires a CDL license greatly depends on your past driving record. If you have blemishes on your driving record, such as a DUI, they will not prevent you from getting a CDL, but they may prevent you from getting the job you set out for. Similarly, many states allow DUI defendants to obtain temporary driving privileges or ‘work permits’ to allow them to drive to work or to take care of their family. CDL drivers charged with a DUI usually do not receive such an exception and will not be allowed to work as a commercial driver following a DUI charge. What are the different classifications of CDL? A Commercial Driver’s License or CDL is a special driver’s license required to operate large or heavy vehicles such as a passenger bus, dump truck, tractor-trailer truck, or concrete mixer. In the U.S., there are 3 CDL classes that determine what type of vehicle you can drive: Class A, Class B and Class C.
Combination vehicles w/ a gross vehicle weight rating (GVWR) of 26,001 lbs or more, as long as the GVWR of the vehicle(s) being towed is more than 10,000 lbs. A single vehicle w/ a GVWR of 26,001 lbs or more, towing a vehicle with a GVWR of 10,000 lbs or less. We know that working within a governmental body presents fleet managers with many unique challenges that small businesses and larger corporate entities don’t face. 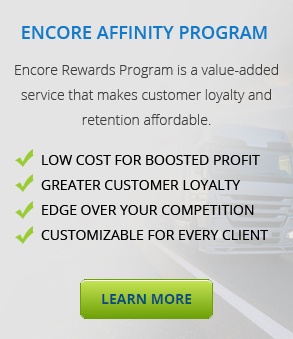 At Encore, we regularly work with government fleets, and we can help you navigate the process of applying for and enrolling in our government roadside assistance programs. We take a hands-on, cooperative approach to helping government fleets get the coverage they need at budget-friendly rates that can’t be beaten. Contact us for more information and to get started with the enrollment process by either calling us at 1-844-6ENCORE (1-844-636-2673) or getting in touch here.